Nationalist politicians in Scotland and Wales have pledged to stop English voters forcing them out of the European Union, if the UK holds a referendum on the issue as expected. Prime Minister David Cameron has said that he will hold an in/out referendum on Europe if the Conservatives win the next election in May this year. But Leanne Wood the leader of Plaid Cymru, the Welsh nationalist party, said that each individual country in the UK should have its own separate vote on whether Britain should stay or leave the EU. This is because England is far lager by population than Scotland, Wales or Northern Ireland and so a vote would be disproportionate in their favor. “My position is that the votes in each of the countries should be added up separately and we should only pull out of the EU if all four countries want to do that. We have had a lot of talk during the Scottish referendum about the UK being a family of nations. This is such a big decision that all members of the family need to be involved in taking that decision,” Wood told Sky News. Wood’s comments were backed up last October by the new leader of the Scottish National Party (SNP) Nicola Sturgeon who also said that the Scottish should have their own say on whether to leave the EU or not. Scotland and to a lesser degree Wales and Northern Ireland are more pro-European than England. Sturgeon warned in October that if a bill is tabled in the House of Commons then the SNP will table an amendment, which would force a separate vote in the four countries of the UK. 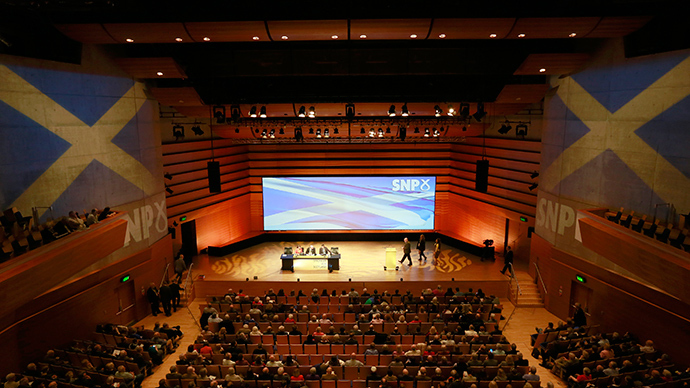 With Labour losing ground to the SNP ahead of the election, the Scottish nationalists may have a decisive role in policies in Westminster for the first time in their history.